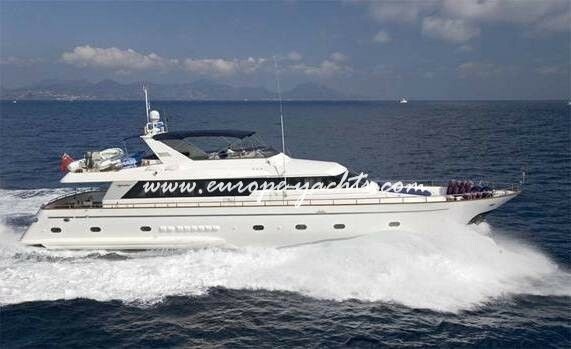 JAAN is a 25m Falcon 82S motor yacht built in 1996 by Falcon Yachts . The yacht’s sophisticated exterior design and engineering are the work of Cantieri Navali Versil. Accommodating up to 10 guests in 4 suites, JAAN is perfect for enjoying quality time on the water with friends and family. 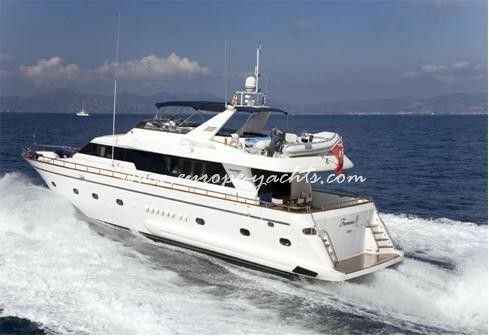 She is designed for a unique yachting experience in the ports of call of the French Riviera. 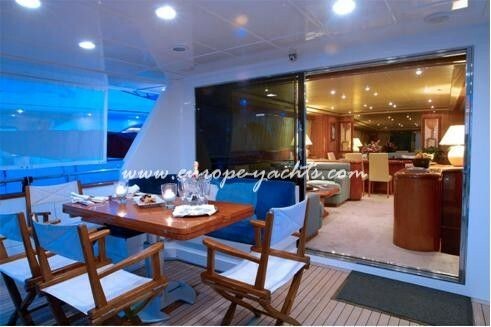 The large and spacious upper deck offers a very private setting for entertaining or simply relaxing in the sun. The whole area is covered with a bimini top. There is an adjustable dining table for 8, BBQ, sink and refrigerator. 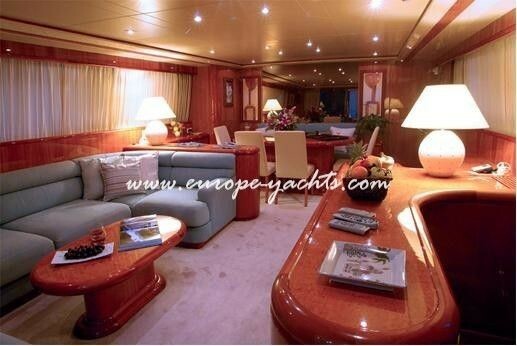 Upon entering the saloon from the aft deck, you come into a very nice area for relaxing and dining. 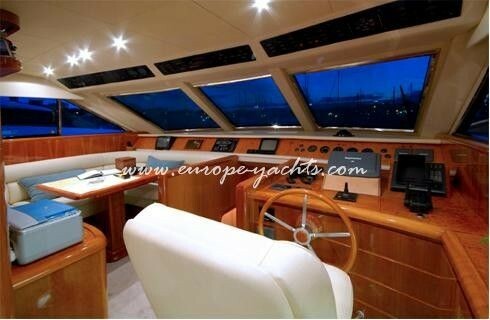 There is a sofa on the port side with a bar to starboard. Forward of this is the saloon is the dining area. 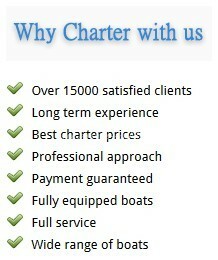 Going forward, there is a day head to port followed by the galley and bridge. 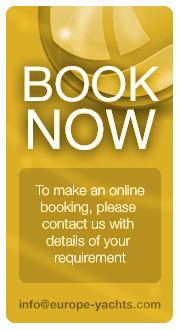 The lower deck is devoted to sleeping quarters with a luxurious accommodation for 8-10 guests in two double cabins and two twin cabins all with en-suite facilities. 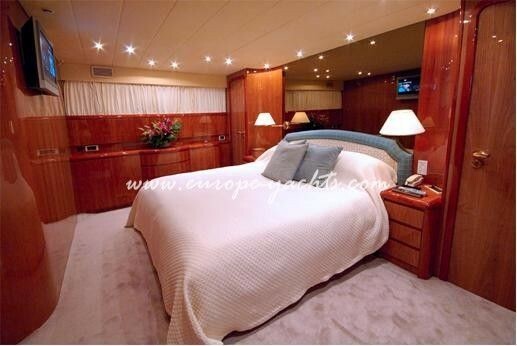 On the lower deck forward is the full-beam owner’s stateroom with a walk in wardrobe and a large marble bathroom. 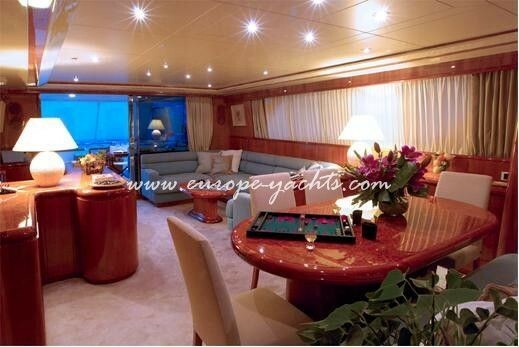 Aft of the owner’s suite is the large VIP cabin. Both cabins have Flatscreen TV and DVD player. Going downstairs from the saloon, there are two twin cabins each equipped with Pullman bunks. Both cabins are equipped with TV and DVD.